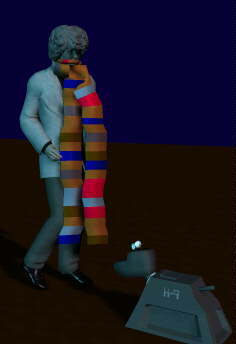 Doctor Who's Poseable Scarf Prop. By popular demand here's the scarf. There are 6 colour material zones, so you can change the colours if desired. It's a smart prop for the neck of any P4Male figure, but should be OK with most others too. I've added a range of MTs to give greater fitting options.